TM 14 OFFICIAL GAZETTE APRIL 26, 2005 CLASS 11—ENVIRONMENTAL CONTROL AP- PARATUS FOR ELECTRICAL LIGHTING TRACKS FOR AIR- PLANE CABINS, COCKPITS AND TRACKBOUND MEANS OF TRANSPORT; AIRPLANE KITCHEN RE- FRIGERATING UNITS; AIR CONDITIONING AND VENTILATION UNITS FOR AIRPLANES AND TRACK- BOUND MEANS OF TRANSPORT; APPARATUS FOR LIGHTING, HEATING, REFRIGERATING, DRYING AND VENTILATING AS WELL AS FOR SANITARY PURPOSES ON AIRPLANES AND TRACKBOUND MEANS OF TRANSPORT, NAMELY, FRESH WATER CONDUITS AND WASTE WATER DISPOSAL PIPES (U.S. CLS. 13, 21, 23, 31 AND 34). CLASS 12—VEHICLES FOR STRUCTURAL COMPONENTS OF AIRPLANE CABINS, COCKPITS AND INTERIORS OF TRACK- BOUND MEANS OF TRANSPORT, MADE OF PLASTICS, LEATHER AND TEXTILE MATERIALS, NAMELY, SIDE COVERINGS, FOOT SPACE LININGS, DOOR TRIMS AND DOOR FRAME COVERS, HAT RACK BOXES INCLUDING INTERIOR TRIMS, END CAPS, HAT RACK LIDS, HANDLE STRIPS, CEILING TRIMS; LITERA- TURE AND MAGAZINE DEPOSITS, STORAGE CASES, WARDROBES, OVERHEAD STORAGE UNITS AND SIDE STORAGE UNITS, FREIGHT ROOM LININGS, FLOOR MOULDS IN PARTICULAR FOR FLOOR IN- SULATION, COVERINGS FOR SEATS FOR THE CABIN CREW AND STEWARD PANELS, COCKPIT DIVIDING WALLS, STRUCTURAL PARTS, NAMELY, CABLE COV- ERS FOR AIRPLANES AND RAILWAY CARS (U.S. CLS. 19, 21, 23, 31, 35 AND 44). FIRST USE 5-0-1999; IN COMMERCE 5-0-1999. CLASS 20—FURNITURE AND ARTICLES NOT OTHERWISE CLASSIFIED FOR FOOTSTOOLS FOR USE ON AIRPLANES AND TRACKBOUND MEANS OF TRANSPORT (U.S. CLS. 2, 13, 22, 25, 32 AND 50). CLASS 35—ADVERTISING AND BUSINESS FOR WHOLESALE AND RETAIL SERVICES FEATUR- ING SPARE PARTS FOR PARTS OF CABINS AND AIR CONDUCTION SYSTEMS FOR AIRPLANES AND TRACKBOUND MEANS OF TRANSPORT (U.S. CLS. 100, 101 AND 102). FIRST USE 5-0-1999; IN COMMERCE 5-0-1999. CLASS 37—CONSTRUCTION AND REPAIR FOR REPAIR, SERVICING AND MAINTENANCE OF AIRPLANE INTERIOR PARTS AND INTERIOR PARTS OF TRACKBOUND MEANS OF TRANSPORT (U.S. CLS. 100, 103 AND 106). FIRST USE 5-0-1999; IN COMMERCE 5-0-1999. 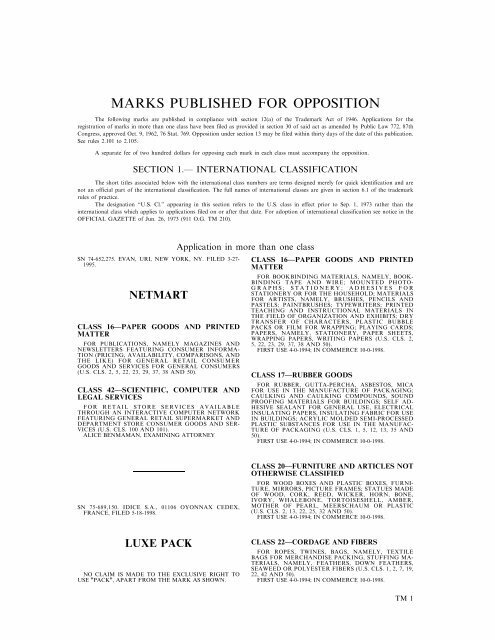 CLASS 40—MATERIAL TREATMENT FOR MANUFACTURE OF NEW COMPONENTS FOR CABIN AND AIR CONDUCTION UNITS FOR AIR- CRAFT AND TRACKBOUND MEANS OF TRANSPORT, TO THE ORDER AND SPECIFICATION OF OTHERS (U.S.CLS.100,103AND106). FIRST USE 5-0-1999; IN COMMERCE 5-0-1999. CLASS 42—SCIENTIFIC, COMPUTER AND LEGAL SERVICES FOR DESIGN AND DEVELOPMENT OF NEW COM- PONENTS FOR CABIN AND AIR CONDUCTION SYS- TEMS FOR AIRCRAFT AND FOR TRACKBOUND MEANS OF TRANSPORT; DEVELOPMENT OF NEW PRODUCTION PROCESSES FOR THE PRODUCTION OF AIRCRAFT INTERIOR PARTS AND INTERIORS OF TRACKBOUND MEANS OF TRANSPORT AS WELL AS THEIR INDIVIDUAL COMPONENTS; CONSULTATION SERVICES IN THE FIELD OF RENEWING AND RE- DESIGNING OF INDIVIDUAL PARTS AND SYSTEMS OF AIRPLANE INTERIORS AND INTERIORS OF TRACKBOUND MEANS OF TRANSPORT (U.S. CLS. 100 AND 101). FIRST USE 5-0-1999; IN COMMERCE 5-0-1999. KHANH LE, EXAMINING ATTORNEY SN 76-299,278. CRIMSONLOGIC PTE LTD, SINGAPORE, SINGAPORE, FILED 8-15-2001. CRIMSONLOGIC PRIORITY CLAIMED UNDER SEC. 44(D) ON SINGA- PORE APPLICATION NO. T0112715G, FILED 8-14-2001, REG. NO. T0112715G, DATED 8-14-2001, EXPIRES 8-14-2011. PRIORITY CLAIMED UNDER SEC. 44(D) ON SINGA- PORE APPLICATION NO. T0112714I, FILED 8-14-2001, REG. NO. T0112714I, DATED 8-14-2001, EXPIRES 8-14-2011. PRIORITY CLAIMED UNDER SEC. 44(D) ON SINGA- PORE APPLICATION NO. T0112713J, FILED 8-14-2001, REG. NO. T0112713J, DATED 8-14-2001, EXPIRES 8-14-2011. CLASS 38—COMMUNICATION FOR (BASED ON 44(E) FOREIGN SINGAPORE REGIS- TRATION NUMBER T0112712J) PROVIDING MULTI- PLE-USER ACCESS TO A GLOBAL COMPUTER INFORMATION NETWORK (U.S. CLS. 100, 101 AND 104). CLASS 41—EDUCATION AND ENTERTAIN- MENT FOR (BASED ON 44(E) FOREIGN SINGAPORE REGIS- TRATION NUMBER T0112714I) PROVIDING EDUCA- TIONAL EXAMINATIONS, NAMELY, ADMINISTERING AND SCORING STANDARD TESTS; EDUCATIONAL, INSTRUCTIONAL, AND PRACTICAL TRAINING DE- MONSTRATION SERVICES, NAMELY, PROVIDING COURSES OF INSTRUCTION IN COMPUTER PRO- GRAMMING AND PROVIDING WORKSHOPS IN THE FIELD OF COMPUTER PROGRAMMING AND COMPU- TER SYSTEMS ENGINEERING (U.S. CLS. 100, 101 AND 107). APRIL 26, 2005 U.S. PATENT AND TRADEMARK OFFICE TM 15 CLASS 42—SCIENTIFIC, COMPUTER AND LEGAL SERVICES FOR (BASED ON 44(E) FOREIGN SINGAPORE REGIS- TRATION NUMBER T0112715G) LEASING ACCESS TIME TO A COMPUTER DATABASE IN THE FIELDS OF COMPUTER PROGRAMMING, MAINTENANCE OF COMPUTER SOFTWARE, UPDATING COMPUTER SOFTWARE, COMPUTER SOFTWARE DESIGN, COM- PUTER SYSTEM ANALYSIS, AND LEASING ACCESS TIME TO A COMPUTER FOR THE MAINTENANCE OF DATA; CONSULTANCY IN THE FIELDS OF COMPU- TER PROGRAMMING, MAINTENANCE OF COMPUTER SOFTWARE, UPDATING COMPUTER SOFTWARE, COMPUTER SOFTWARE DESIGN, COMPUTER SYS- TEM ANALYSIS, AND LEASING ACCESS TIME TO A COMPUTER FOR THE MAINTENANCE OF DATA; LEASING ACCESS TIME TO A COMPUTER FOR THE MANIPULATION OF DATA IN THE FIELDS OF COM- PUTER PROGRAMMING, MAINTENANCE OF COMPU- TER SOFTWARE, UPDATING COMPUTER SOFTWARE, COMPUTER SOFTWARE DESIGN, AND COMPUTER SYSTEM ANALYSIS; AND TECHNICAL PROJECT STU- DIES IN THE FIELDS OF COMPUTER PROGRAMMING, MAINTENANCE OF COMPUTER SOFTWARE, UPDAT- ING COMPUTER SOFTWARE, COMPUTER SOFTWARE DESIGN, COMPUTER SYSTEM ANALYSIS, AND LEAS- ING ACCESS TIME TO A COMPUTER FOR THE MAIN- TENANCE OF DATA (U.S. CLS. 100 AND 101). CHRIS WELLS, EXAMINING ATTORNEY SN 76-304,909. CHRISTIANITY TODAY INTERNATIONAL, CAROL STREAM, IL. FILED 8-27-2001. THE MARK CONSISTS OF STANDARD CHARACTERS WITHOUT CLAIM TO ANY PARTICULAR FONT, STYLE, SIZE, OR COLOR. OWNER OF U.S. REG. NO. 1,141,768. CLASS 35—ADVERTISING AND BUSINESS FOR ONLINE RETAIL STORE SERVICES FEATUR- ING MAGAZINES, BOOKS, BIBLES, SELF-STUDY CUR- RICULUM, AUDIO AND VIDEO TAPES, CD-ROMS, AND OTHER MULTI-MEDIA RESOURCES FOR CHURCHES AND CHRISTIANS; PROVIDING A COM- PREHENSIVE ONLINE CHRISTIAN WEB SITE FEATUR- ING INFORMATION ABOUT EMPLOYMENT OPPORTUNITIES (U.S. CLS. 100, 101 AND 102). FIRST USE 10-2-2000; IN COMMERCE 10-2-2000. CLASS 38—COMMUNICATION FOR PROVIDING ONLINE ELECTRONIC CHAT ROOMS AND BULLETIN BOARDS FOR DISCUSSION OF RELIGIOUS ISSUES, PRACTICAL CHRISTIAN LIV- ING, PRAYER AND BIBLE STUDY (U.S. CLS. 100, 101 AND 104). FIRST USE 10-2-2000; IN COMMERCE 10-2-2000. CLASS 41—EDUCATION AND ENTERTAIN- MENT FOR PROVIDING A COMPREHENSIVE ONLINE CHRISTIAN WEB SITE FEATURING EDUCATIONAL AND ENTERTAINMENT INFORMATION ABOUT WO- MEN, MARRIAGE, PARENTING, MEN, SINGLES, SE- NIORS, TEENS, KIDS, MUSIC, SPORTS, CURRENT RELIGIOUS NEWS, SCHOOLS; PROVIDING EDUCA- TIONAL AND ENTERTAINMENT EMAIL NEWSLET- TERS ON CURRENT NEWS EVENTS, RELIGIOUS ISSUES, CHRISTIAN INTERNET RESOURCES; DEVO- TIONAL HELPS, AND PRACTICAL CHRISTIAN LIVING (U.S.CLS.100,101AND107). FIRST USE 10-2-2000; IN COMMERCE 10-2-2000.  CLASS 45—PERSONAL SERVICES FOR PROVIDING A COMPREHENSIVE ONLINE CHRISTIAN WEB SITE FEATURING INFORMATION ABOUT CHURCHES AND MINISTRY, PREACHING RESOURCES, BIBLE AND REFERENCE (U.S. CLS. 100 AND 101). FIRST USE 10-2-2000; IN COMMERCE 10-2-2000. HOWARD B. LEVINE, EXAMINING ATTORNEY SN 76-326,735. MENDEL BIOTECHNOLOGY, INC., HAY- WARD, CA. FILED 10-18-2001. THE MARK CONSISTS OF STANDARD CHARACTERS WITHOUT CLAIM TO ANY PARTICULAR FONT, STYLE, SIZE, OR COLOR. CLASS 31—NATURAL AGRICULTURAL PRO- DUCTS FOR PLANT MATERIALS, NAMELY, PLANT AND AGRICULTURAL SEEDS, UNPROCESSED AND LIVE FRUITS AND VEGETABLES, LIVING PLANT TISSUES AND LIVING PLANT CELLS FOR USE IN PLANT PROPAGATION AND LIVE PLANTS (U.S. CLS. 1 AND 46). FIRST USE 11-0-2000; IN COMMERCE 9-17-2001. CLASS 42—SCIENTIFIC, COMPUTER AND LEGAL SERVICES FOR RESEARCH AND DEVELOPMENT SERVICES RELATING TO PLANT GENETICS; CONSULTING SER- VICES IN THE AREA OF PLANT GENETICS; RE- SEARCH AND PRODUCT DEVELOPMENT FOR OTHERS IN THE FIELD OF GENETICALLY ENGI- NEERED PLANTS AND PLANT SEEDS; LICENSING OF INTELLECTUAL PROPERTY, NAMELY, TECHNOL- OGY LICENSING SERVICES RELATING TO PLANT GENETICS; AND LICENSING OF INTELLECTUAL PROPERTY IN THE FORM OF PATENTS, PATENT APPLICATIONS, KNOW-HOW AND SHOW-HOW IN THE FIELDS OF AGRICULTURE, HORTICULTURE, AND FORESTRY (U.S. CLS. 100 AND 101). FIRST USE 5-0-2001; IN COMMERCE 9-17-2001. KENNETH D. BATTLE, EXAMINING ATTORNEY SN 76-333,314. UNIVERSITY CORPORATION FOR AD- VANCED INTERNET DEVELOPMENT, WASHINGTON, DC. FILED 11-1-2001. INTERNET2 OWNER OF U.S. REG. NO. 2,347,745. CLASS 9—ELECTRICAL AND SCIENTIFIC APPARATUS FOR COMPUTER SOFTWARE FOR ACCESSING IN- FORMATION DIRECTORIES, DATABASES, LIBRARIES, DOCUMENTS AND ELECTRONIC PUBLICATIONS IN THE FIELD OF UNIVERSITY RESEARCH AND UNI- VERSITY INSTRUCTION THAT MAY BE DOWN- LOADED FROM A GLOBAL COMPUTER NETWORK (U.S. CLS. 21, 23, 26, 36 AND 38). FIRST USE 10-0-1996; IN COMMERCE 10-0-1996.